The Biomedical Research Foundation of the Academy of Athens (BRFAA) is the most recent addition to the Life Sciences Research organizations in Greece, which begun its activities in 2004. 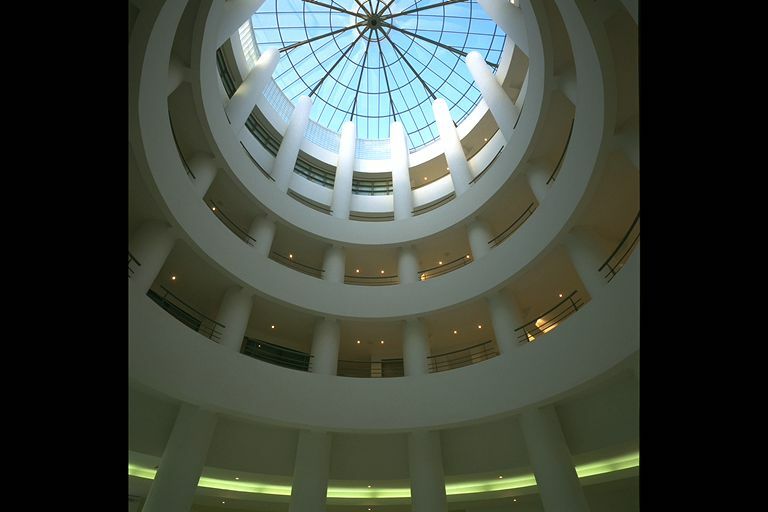 It is located at a distance of 3 km from downtown Athens, and is housed in a modern 32,000 m2 building. The founding principle of BRFAA is to host both basic and clinical research, thus, providing an ideal setting for the emergence of translational activities (Medical Application). 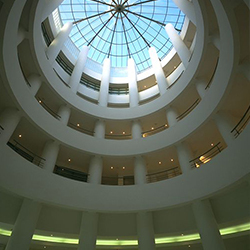 BRFAA is one of the few institutes with such character in Europe and is certainly unique for Greece. 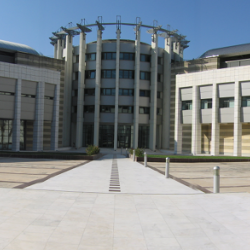 The main goal of BRFAA is to achieve excellence in the Biomedical Sciences by recruiting high quality investigators carrying out cutting-edge basic and translational research and by training young researchers in a state-of-the-art facilities, which provide a particularly stimulating scientific environment and strong research infrastructures. At present, BRFAA consists of 4 Research Centers (Institutes) specialized in different aspects of Biomedical Research focusing on the following research areas: gene regulation, stem cells, neurobiology, developmental biology, aging, cancer, inflammation, stress and metabolic syndromes, cardiovascular pathophysiology and environmental health issues. These research activities are being pursued in the context of the following Centers: (1) Center of Basic Research, (2) Center of Clinical and Translational Research, and Experimental Surgery (3) Center of Systems Biology and (4) Center of Environmental Health. Research is performed by more than 50 research groups. Overall, more than 450 researchers including graduate students, postdoctoral fellows and technicians are pursuing their research activities at BRFAA and are supported by 52 administrators, financial officers and facilities maintenance personnel. BRFAA regularly hosts foreign researchers from across Europe and North America (both US and Canadian scientists). It is along these lines that the personnel involved in Experimental Surgery regularly offer training courses in large animal surgery that serve a number of European Universities, Hospitals and Research Institutions. accreditation has already been obtained by the responsible European and National Committees.The Clinical Research infrastructure includes a 6-bed day clinic specialized in cardiovascular, metabolic, hematological and malignant diseases and is supported by the necessary medical personnel and infrastructure including a Positron Emission Tomography unit (PET-CT), echocardiography unit, cardiopulmonary exercise stress unit etc. It is notable that the Cord Blood Bank, which operates under the auspices of BRFAA, has made various contributions of stem cells, including several to the Children's University Hospital that were used successfully in transplantations for the treatment of cases of hematological malignancy cases Moreover, the Center for Environmental Health, which is linked to a satellite, monitors continuously climate changes (ozone levels, solar radiation and atmospheric pollutants). Within its 10 years of full operation, the rigorous research performed at BRFAA is already receiving international recognition, as its investigators have published an impressive number of scientific publications in high-impact journals (~1100 publications). Moreover, BRFAA has also already achieved an excellent track record in attracting and managing research funding from Greek, European, US, and other sources. Although intramural bridging funding is distributed according to need and mainly on the basis of scientific merit, most of the scientific activities are supported by competitive grants provided by a number of funding agencies. Since its establishment, BRFAA has participated in a total of about 70 EU programs (ERC, FP6, FP7, Horizon 2020, Life Science priority and Marie Curie mobility projects), as well as programs from the European Economic Area (EEA). In addition to National and European grants, research at BRFAA is also funded by other International sources such as AICR, Leukemia and Lymphoma Society of America, Juvenile Diabetes Research Foundation, Parkinson’s Disease Foundation, Michael J. Fox Foundation, March of Dimes, NIH, Human Frontier Science Foundation, as well as from Pharmaceutical and Biotechnology industrial partners. The total annual budget of BRFAA exceeds 18 million Euros, of which support of approximately 2 million is coming from the Greek Government, 7 million from competitive research grants and the remaining from services and other sources. a) A Greek Biobank for the collection and storage of tissues, fluids and surgical specimens. This infrastructure (BBMRI-GR) has formally joined the European entity as a member. c) The Greek Genome Center that is organized to offer genomic analyses (Next Generation whole genome or exome sequencing and RNA sequencing) and High Performance Computational services at the cell population or single cell level.